You can find a picture of a donkey in one of the large stained glass windows near the back of the church, on the right, next to the Vicar’s Vestry. The window was designed by Mr A.O. Hemming in 1904. It has 4 angels at the very top, then it depicts the Feeding of the Five Thousand, and lower down, the Raising of the Son of the Widow of Nain. This is the picture with the donkey in the background. 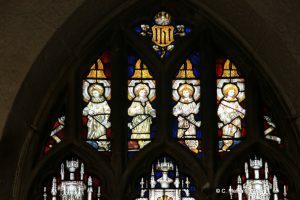 The window was given in memory of Rebecca Worrell Clarke who died on 14 April 1903, by her sister, Katherine Grasset Clarke. 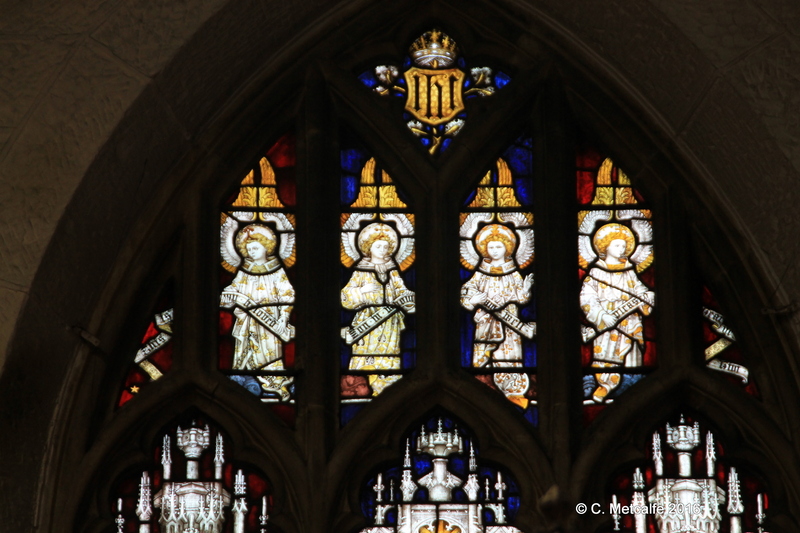 There are 2 more large windows with 4 angels at the top, on the north or left side of the church as you face the altar. In the Chapel of the Nativity, to the left of the main altar, the large window on the left has 4 angels. These are darker and harder to see than those on the other side of the church. 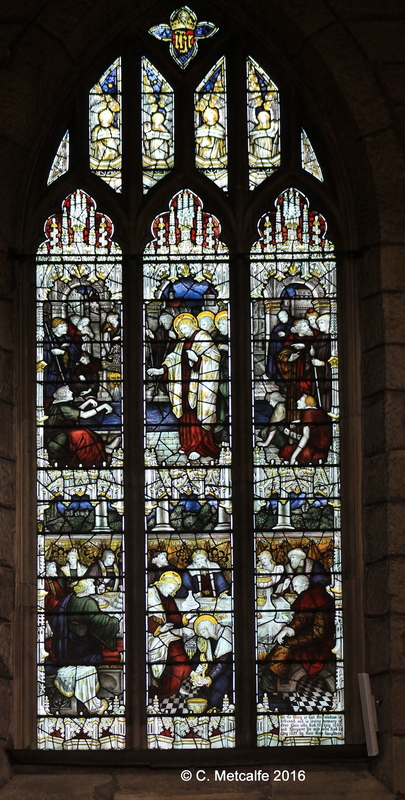 This window was given in memory of Richard Buckley, who died on August 7th 1882, aged 17½ years, and it was given by his father and brother. The window was made by Mesrs Clayton and Bell in 1883. The first window on the north or left side of the church, outside the Chapel of the Nativity also has 4 angels at the top. Again they are darker and hard to see. 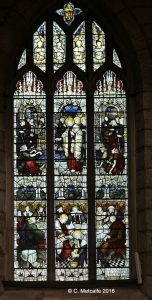 This window was given in memory of Peter Moir, who died in 1895, and his wife, Mary Moir, who died in 1899, by their 3 daughters.